Corporate and Foundation giving can make a life-changing difference in the lives of children, elders and families who need it most. Take advantage of a range of opportunities to help our most vulnerable neighbors transition from survival to stability and from stability to success. To learn more about the following paths to giving, please contact us at 617.348.6559 or give@bostonabcd.org. SummerWorks is an ABCD program that enables income eligible Boston youth to take part in career development workshops, be placed in a job that gives back to the community, and earn a regular paycheck. They receive one-to-one mentoring and learn skills that serve them now and throughout their lives. Every summer, 4,000 to 5,000 youth apply, but we can fund only about 1,000. Your gift matters. Our Winter Emergency Campaign serves thousands of Boston area families in desperate need of food, fuel assistance, and holiday toys. You can donate to the general campaign, give the joyful gift of holiday toys, or choose to “Adopt a Family,” meaning that you can direct your generosity to a specific family. Adopt-a-Family. For the thousands of people ABCD helps every year, winter can be a treacherous time. Juggling the costs of heat, groceries, rent, childcare, prescriptions, and a little holiday cheer is not easy – but you can help! The ABCD Adopt a Family program matches you with a disadvantaged Boston household to make a personal commitment to brighten that family’s holiday season. You will receive a profile of your sponsored family and help by fulfilling each families “wish list” of basic needs items along with gifts for the holidays. You can give individually or as a group with your family, social or faith group, business, or benevolent society. To become an Adopt A Family Donor simply complete this online form. We will match you with a family based on your donation budget and receive the family "wish list" by November 15th. Learn what we ask of you as a donor here, and download our Gift List inventory form to keep everything organized! If you have questions and need more information contact us at 617-348-6559 or give@bostonabcd.org. Through the ABCD Holiday Toy Drive, you can make a family’s holiday season much happier!. You, as a corporate or community partner, collaborate with the ABCD neighborhood network to collect donations of new, unwrapped toys and gift cards that we distribute to low income families in every Boston neighborhood and several in the Mystic Valley. Companies whose mission includes giving back can meet specific charitable choices--children and youth, affordable housing, essentials like food and clothing, and more. The many options including matching gifts, which motivate employees and double your impact; event sponsorships including high profile fundraisers like ABCD’s Field of Dreams, where your team plays at America’s most beloved ballpark -- Fenway! The same goes for Hoop Dreams, where your team plays on the legendary TD Garden parquet, and the ABCD Community Heroes Celebration, which pays tribute to the spirit of volunteerism. Your in-kind donation goes a long way in helping homeless families; the two high schools that we run in partnership with the Boston Public Schools--University High and Ostiguy High; ABCD Head Start early childhood learning centers, or specific neighborhood locations, each offering a range of services. Clothing, especially winter coats, boots, and warm socks; new linens, towels and other household supplies; gently used furniture; gift certificates to major retailers, and art and school supplies are among our families’ greatest needs. 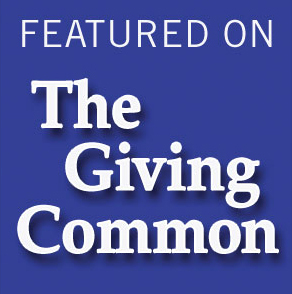 Your tax-deductible donation goes to ABCD programs that help people right in your community. To direct your gift to a specific program, select from the pull-down list below. Your donation will be processed securely through Authorize.net. By clicking "Confirm and Pay", you will be taken to another page to complete your tax-deductible donation. If you have questions or need assistance with your donation, call the ABCD Give Line at 617.348.6559 or email us at give@bostonabcd.org.